A supremely crafted Rectangular Shower Tray from the Simpsons range which features a unique minimalist inspired 25mm low profile. Manufactured from natural stone resin, the 800mm x 1500mm Simpsons Linear Shower Tray allows for a raised installation or level access and will deliver optimum drainage, lasting quality and help create an inspirational shower enclosure for the modern bathroom. 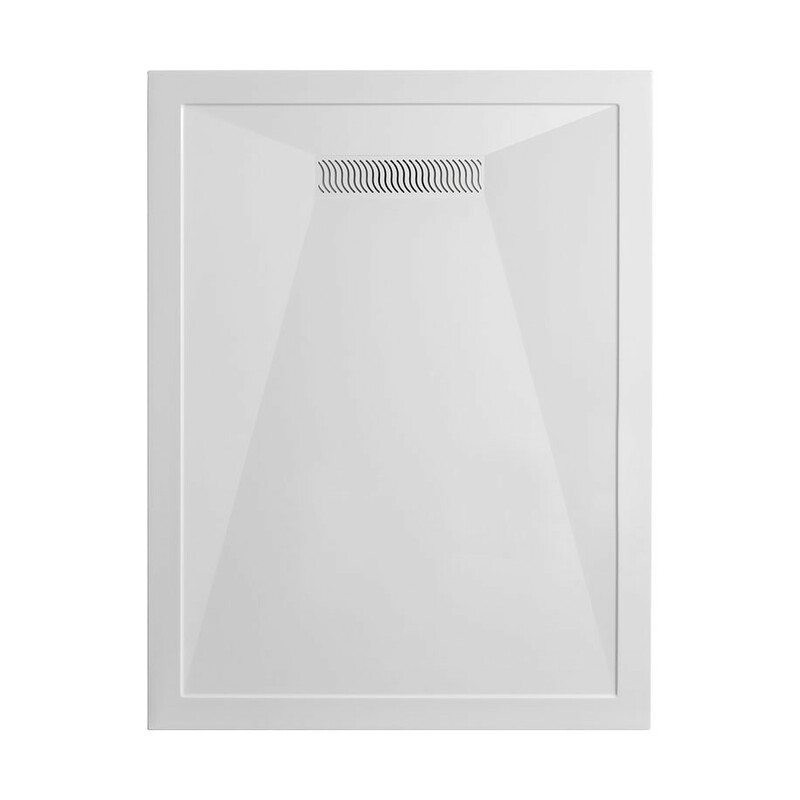 Rectangular trays are perfect for creating a classic shower enclosure. The inimitable designs of Simpson's Rectangular shower trays have been crafted with expert precision and an unrivalled durability for greater peace of mind. With over 20 years’ experience in modelling and crafting the most durable and opulent shower fixtures for the bathroom, the Rectangular collection from Simpsons is the blueprint of practical and cutting-edge design excellence. Stone based products epitomise style, opulence and luxury quality. They can turn your bathroom into a energising and revitalising sanctuary or a warm haven that provides peace and tranquility after a busy day. This product is modern in style and will bring your bathroom into the 21st century. White is the universal colour for bathrooms. Embrace the clean, fresh simplicity of white; a look that that wont look dated in a few years time. Gloss finishes offer a gleaming shine to a plethora of bathroom products, offering tolerance to the steamiest of bathrooms. Simpsons is part of Crosswater’s range of leading bathroom brands in the UK, with expertise in providing stunning shower fixtures for every style of bathroom. Inspired by UK bathroom trends, Simpsons use only the best materials and designers to create their distinctive range of shower products.